The McStrike is back and bigger than before. Workers at three new stores in Manchester and Watford will be joining McStrikers at Camrbidge and Crayford and going on strike on International Workers’ Day (Tuesday 1 May 2018). For their right to a union to be respected. 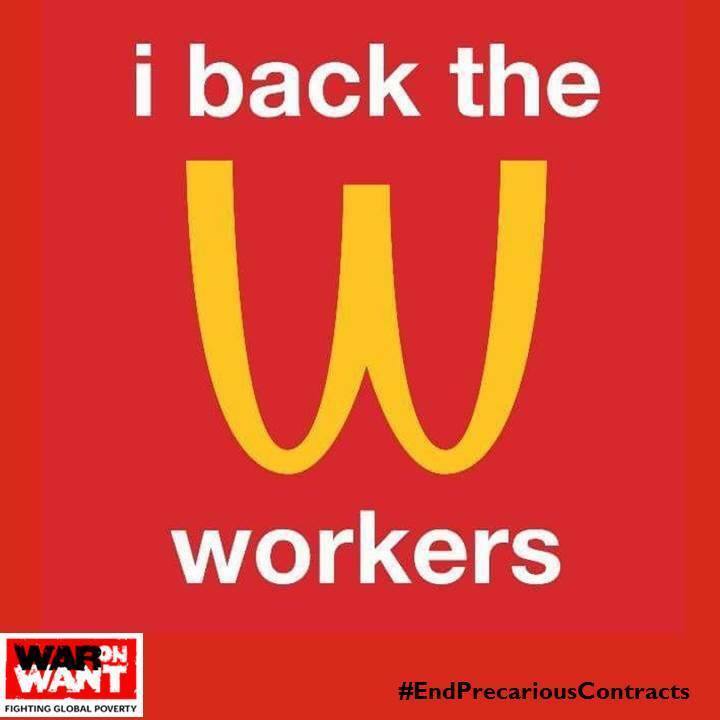 As these brave workers take a stand against the world’s second largest private employer, anything you can do to show your solidarity will help. 6) Change your profile picture on social media (and encourage others to do the same). You’ll receive news about this and other cutting-edge global campaigns for workers’ rights. You can sign up here.